This week's roundup is a departure from my norm. Besides my weekly book list, I want to tell you about a couple bookish events this month plus alert you to a super podcast. So let's jump right in. It's November, which means it's one of the biggest travel months of the year. And you know what I like to do when driving or flying? That's right, I listen to a good audiobook, which makes the time zip on by and the trip that much more fun. If you're not sure what to listen to next or which audiobooks to pack for your holiday travel, put aside your worries. 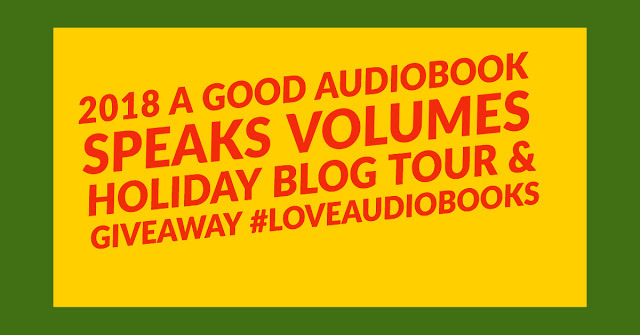 The Audiobook Publishers Association teamed up with 21 bloggers, who have some great listening recommendations and who are offering one of their readers the chance to win 8 audiobooks. Visit the APA's website to get the list of participating bloggers. Don't be shy, enter for a chance to win. Good luck! If you need even more audiobook recommendations, be sure to tune in to AudioFile Magazine's new podcast, Behind the Mic. The podcast airs every weekday and is available via whatever podcast app you use and whatever operating system you like. The really cool thing about this podcast is that it lasts only about 5 minutes! Each episode (they're up to about 60 now) focuses on a single book, which means you can listen quickly whenever you have a spare moment: while getting ready for work in the morning, when settling into your office for the day, or while walking to your car at lunchtime. Check out the list of available episodes and get ready to add to your wish list. It's that time of year when we're reminded to be grateful for what we have and to give to those who are less fortunate. 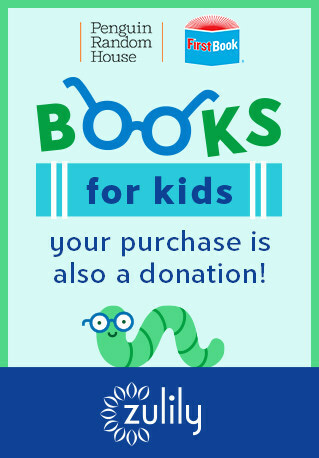 Zulily and Penguin Random House have once again joined forces to provide books to children in need. When shopping for books for the kids on your holiday list, be sure visit the Zulily website or app and look for the Buy One, Give One banner. For every book you buy, Penguin Random House will donate one book to First Book, which provides quality books to families, children, and classrooms across the country. Here is a list of holiday books that are part of this generous program. This week's roundup is quick look at some random books I have checked out of the library. 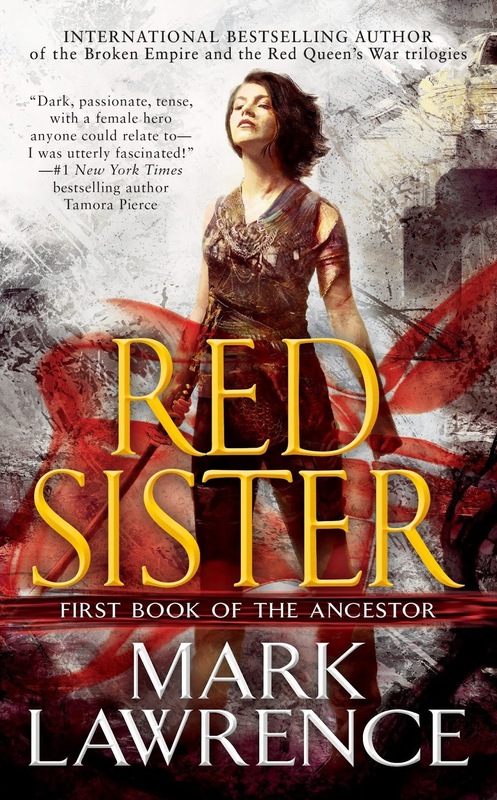 The Red Sister by Mark Lawrence (Ace, February 2018): This is the first in an epic fantasy trilogy that a friend of mine told me about. Here's the short blurb from the publisher: "A brand-new epic fantasy trilogy about a girl of rare talents who enters a convent to learn the art of combat and is drawn into a battle for empire." I didn't want to research the book too much (for fear of spoilers), but I think the main character is harboring secrets and powers. Reviews have been mostly glowing, noting that the world and concept are fresh. Most also mention how quickly they were drawn to the characters and their plight. I'm intrigued by the fighting nuns! Book two is already out and the final installment is just a few months away. 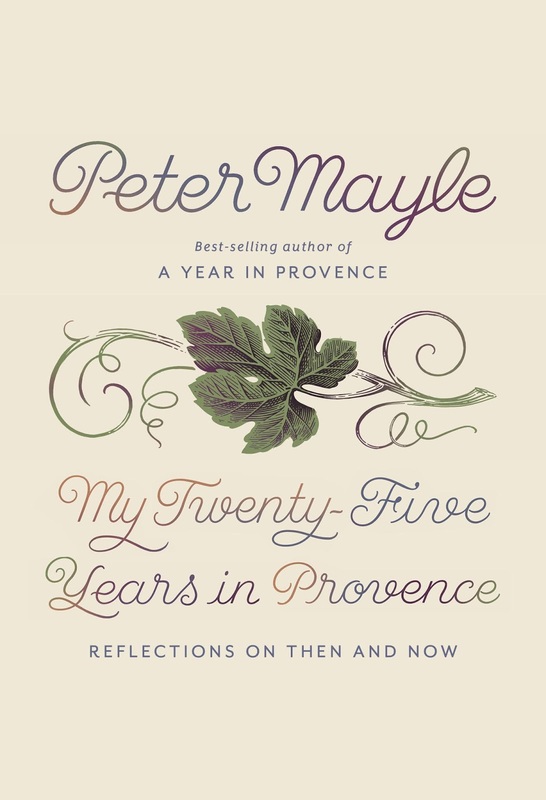 My Twenty-Five Years in Provence by Peter Mayle (Knopf, June 2018): you may recall that I reviewed this memoir in September. So why did I wait in the library hold line to get a copy of the book? I listened to the unabridged audiobook for a review assignment, which meant I missed out on the photographs that were included in the memoir. The library ebook became available just yesterday, so I haven't had a chance to flip through it, but I plan on spending an hour or so this weekend just looking at the pictures. As much as I love audiobooks, I hate missing out on the visuals and wish audiobook publishers would include PDFs of the illustrations. 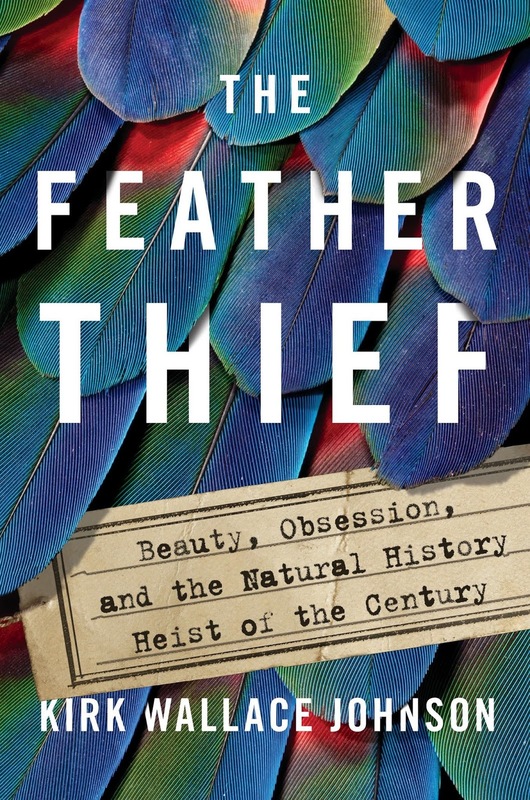 The Feather Thief by Kirk Wallace Johnson (Viking, April 2018): Speaking of missing out on visuals, I held off starting the audiobook of this true-crime story because I wanted to see the photos while I was listening. This book is about an obsessed American fly-tier who stole 299 rare bird carcasses from a branch of the British Natural History Museum. Why? So he could sell the feathers to fellow fly-fishing enthusiasts and make a fortune. What was so devastating about this strange crime is that many of the birds were collected over 150 years ago by the famous naturalist Alfred Russel Wallace. Johnson, also a fly-fisherman, became fascinated with this story and wanted to know more about Edwin Rist, the music student who became a feather thief. The book won all kinds of starred reviews, and I'm really looking forward to being able to view the photographs while listening to this weird twenty-first-century heist. At My Table by Nigella Lawson (Flatiron, April 2018): I have a major weakness for cookbooks. In an effort to feign restraint, I've developed the habit of delaying buying a new one until I've had a chance to check it out of the library or at least look through it at the store. 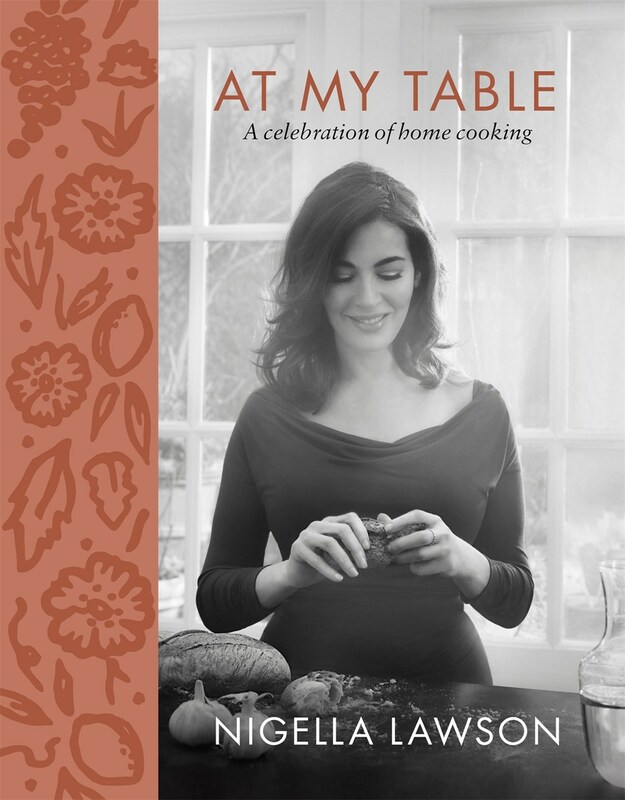 Last week one of my Weekend Cooking participants wrote about Nigella's newest cookbook, and I couldn't resist taking a look. I've gone through this cookbook only very quickly, but it looks like it's focused--as the subtitle says--on home cooking and geared to cooks of a variety of skill levels. There are about 275 recipes that take you from breakfast to cocktail hour drinks and nibbles all the way through to after-dinner dessert. The photographs are stunning, and I'm afraid I can already tell that this is a must-own book. There are a couple of fall/winter recipes that are calling my name, such as a beet and goat cheese salad and a pork with prunes dinner. God save my wallet. Full review sometime in the future. 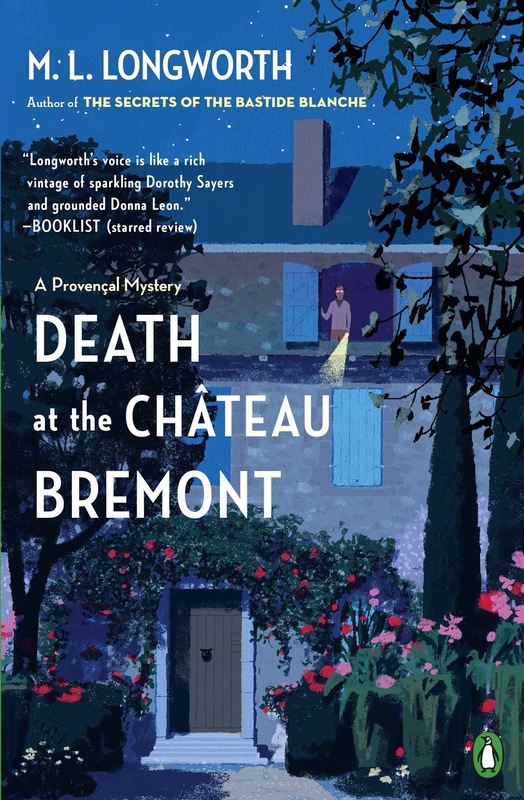 Death at the Chateau Bremont by M. L. Longworth (Penguin, June 2011): Not long ago a friend of mine recommended a mystery series set in Aix-en-Provence, featuring a chief magistrate and his law professor girlfriend. I love the concept and setting of these mysteries. It's the south of France! I expect to read about the beautiful countryside, good wine, and excellent food . . . n'est-ce pas? In this first installment we meet the investigators and learn of the importance of an excellent neighborhood cafe. Oh, and there's the murder of the count and whodunit puzzle. Reviewers comment on the vivid descriptions of the town, the chateau, and the secondary characters. I always seem to find room to add just one more series to my reading list. I'm not quite sure who the library gods are, but I do know they like to play with me. No matter how spread out I make my library requests, all the books always seem to become available within a few days of each other. I waited months for some of these, and others I got right away. In any case, I'd better get reading or resign myself to the sadness that is returning books to library before I've had a chance to read them. I highly recommend the Carrot walnut and ginger cake from Nigella's book!! I think I got about a third into Red Sister before I gave up. It was really slow and not a lot had happened by that point. I know people have raved about it but I just couldn't get any further. :/ Maybe I just wasn't in the right mood. Death at the Chateau Bremont sounded good in your review, but I just read a couple of paragraphs on amazon's "look inside" and it looks a bit overwritten. Maybe even melodramatic. I hope you will review it when you actually read it. I was hoping for something more like Martin Walker's Bruno series, which I'm really addicted to. That is so true about all the reserve books coming at once. I've lamented that fact to the library staff as I check out 5 books that came all at once. They laughed and said everyone complains about that! I had the same problem at the library (even before I blogged) which is part of the reason I don't use it much these days. I didn't know about the Buy One, Give One program. It sounds great - I'm off to check out how I can participate! I've never had that problem from any of the libraries I borrow books from, I wouldn't like that. I didn't know about the Buy One, Give One, thanks for letting us know! 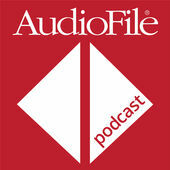 I plan on working through the AudiFile podcasts, thanks for that too! I would have loved to get my hands on the Peter Mayle book. Sadly its archived on Netgalley. Thanks for letting me know about the final Peter Mayle book. I'm now on the wait list for it at the library. We've spent a bit of time in Provence -- so have liked these books.